Manufacturer of a wide range of products which include scaffolding h frames and h-frame scaffolding. 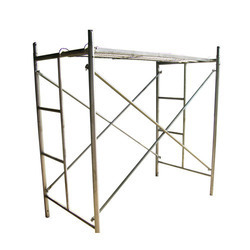 A high quality range of Scaffolding H Frames is being offered to the clients in different specifications. 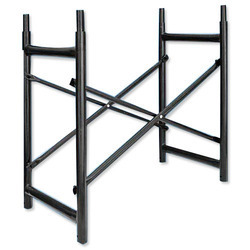 These products have rigid welded frame of horizontal and vertical pipes. Further, these pipes are interconnected by scissor type cross braces by the help of pins and spring clips. Moreover, we can customize these products as per the exact details provided by the esteemed patrons, which has helped us in attaining their maximum level of satisfaction. We offer a high quality range of H-Frame Scaffolding to the esteemed customers, as per their specific requirements. Walk through Frames and Ladder or Mason Frames are widely used by the clients. The range of walk through frames provides easy access for the purpose of human mobilization. Besides, ladder or mason frames fit walkway planks on horizontal by facilitating working platforms at different heights.